Stanley Roper, landlord and husband is the average married middle aged American man whose vulnerability sometimes causes him to act like a stubborn fool. Misunderstood, Mr. Roper covers his insecurity to avoid dealing with new issues that confront him. Dressed in conservative and constrained costumes Mr. Roper rebuts the persistent advances of his wife, Helen. He loves Helen. . . if only she didn’t have to live with him. 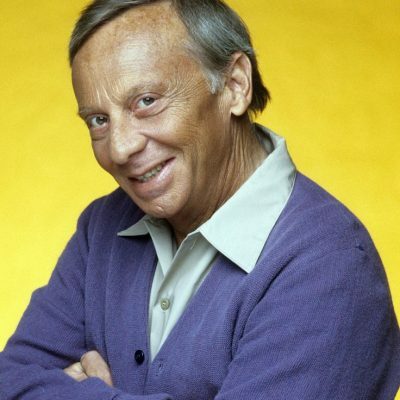 Versatile performer Norman Fell built a resume that includes television credits for more than 150 live plays from New York and some 200 television programs filmed in Hollywood. Fell received acclaimed reviews for his work in Roots: The Next Generation. His numerous accolades include an Emmy nomination for is role in Rich Man, Poor Man and won the Golden Globe for “Best Supporting Actor in a Comedy” for his comedic talents portraying Stanley Roper in Three’s Company. Fell was born March 24, 1924 in Philadelphia, Pennsylvania. He spent three years as an air force gunner in the Pacific. After the war, he returned home to attend Temple University and receive his B.A in 1950. Norman traveled back and forth between Philadelphia and New York making the rounds seeking roles. He began summer stock and television in Studio One, Goodyear Playhouse and Philco Television Playhouse. On Broadway, he starred in Uncle Willie and Middle of the Night. In 1958 he moved to California to pursue a career in film. His motion picture credits include The Graduate, Ocean’s Eleven, PT 109, Catch-22, Bullit, It’s a Mad Mad Mad World and The End. He appeared in nearly forty films. His television career is just as acclaimed highlighted by his own show The Ropers in 1979 in which he plays Stanley Roper. As a life time member of the Actors’ Studio in New York, Norman died in December of 1998 at the age of seventy-four.